Commercial Construction - Lamon and McDaniel Builders, Inc.
We provide turn key commercial construction services from start to finish. 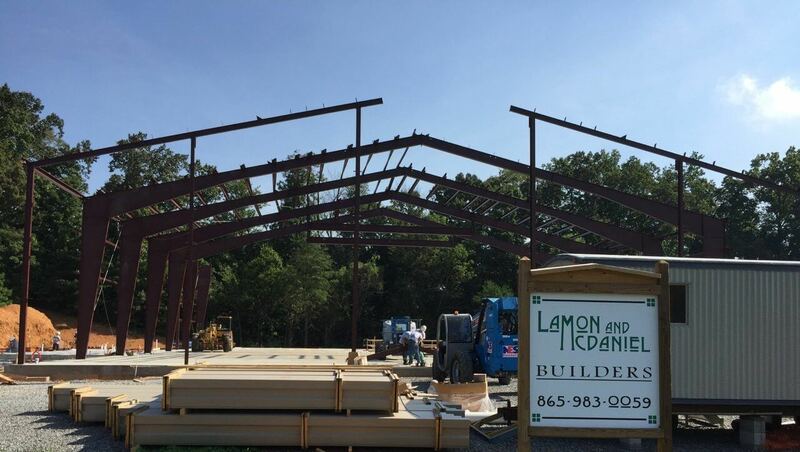 Whether your project is a small commercial office, a large warehouse, medical complex, addition, or remodel, you will receive quality service and materials that Lamon and McDaniel Builders, Inc. is known for. We can basically step in during any phase of your project. New Construction is the heart of our company. We do our very best to ensure that constructing your new commercial project is a pleasant experience and one that delivers a building that exceeds your expectations. Our goal and mission is to provide quality workmanship and outstanding service at a competitive price. We believe the success and foundation of any project relies on the best use of the time before construction begins. Keys to this are thorough planning, scheduling and coordination. We’ll be with you at that step, and until the building process is complete. If we can assist you, please contact us. We’ll be glad to sit down with you and gather your thoughts and ideas, plus share a few of our own with you. Our goal is to construct your project while offering you peace of mind, and saving you money along the way. We have the administrative staff to provide you with a complete estimate that includes a complete break-down of materials, labor, and allowances. Lamon and McDaniel Builders, Inc. is available for Construction Management. We can be your advocate in the field during the building process. We act as an interface between you, your design staff, and construction staff to make the critical decisions necessary to keep your project moving. For more information on our Construction Management services, please contact us here.